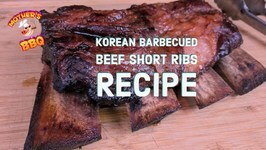 On this video, we fire up the Weber Kettle with the help of the Slow-n-Sear a cook up some Korean-style kalbi short ribs. Enjoy! Fired up the Yoder YS640 Pellet Cooker for some low n slow Texas Cut Beef Back Ribs! 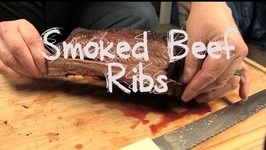 If you want to see how to make some moist, tender beef ribs with a killer smoke ring, ..
On this video, we fire up the Kamado Joe Classic and cooked up some gigantic beef short ribs with an awesome coffee rub. 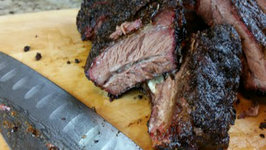 How to cook great beef ribs on a offset smoker and also using butcher paper at the end for a great finish on these ribs! 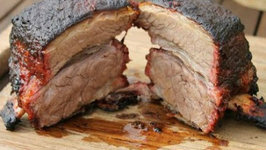 A simple recipe for Texas Beef Back Ribs, smoked on the Gator Pit offset smoker using pecan wood. 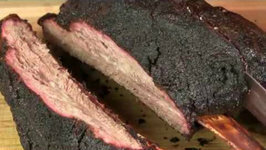 On this video we fire up the Pit Barrel Cooker and hang some monster beef ribs. 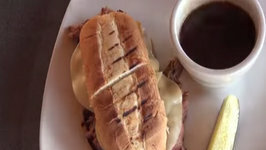 We also try to clone a killer bbq sauce from Fat Matts BBQ in Atlanta Georgia. 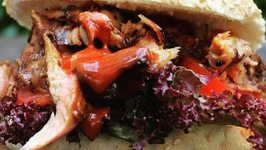 Asian Style Spareribs Burger - A great recipe for Grill and Smoker. 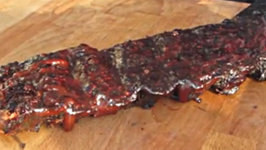 Nimm 2 BBQ Ribs - A great recipe for Grill and Smoker. 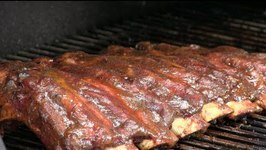 BBQ beef ribs cooked up on the Rec Tec Grill, seasoned with "June Bug" rub and finished with "Sugar Taylor" sauce! 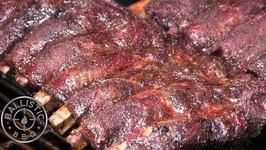 BBQ Beef Ribs on the Rec Tec! Plus a Giveaway! 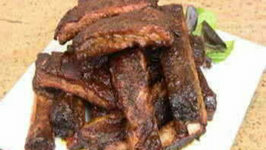 Chinese BBQ Ribs - A great recipe for Grill and Smoker. 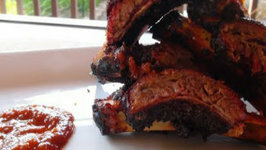 Juicy - gooey beef ribs, perfect for winters. 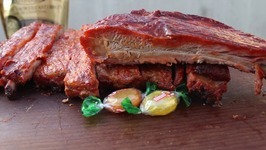 ProQ Xoco craftbeer-ribs- A great recipe for Grill and Smoker. 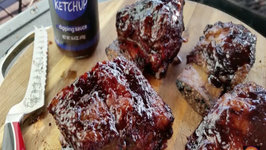 On this cook I slow smoke some beefy short ribs on the Weber Grill and coat it with NotKetchup Blueberry White Pepper sauce. Lip Smacking for sure. 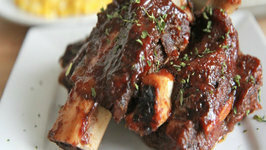 It's super easy to make these tender, juicy, perfectly seasoned oven baked BBQ beef ribs! I seriously dare you to eat just one. 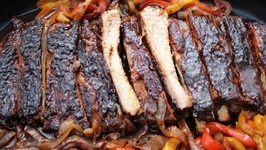 The Worlds best Dutch oven Ribs only requires 7 ingredients! 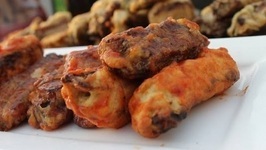 Easy to make, this recipe can be used in your home oven or better yet, at camp with your family and friends. 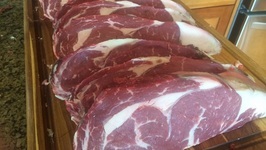 In this video I dry age a whole ribeye of beef using the Umai Dry Steak Bag. This weekend I fired up the Weber Grill and smoked a Prime Rib Roast for some killer Prime Rib Dip Sandwiches. Here's to kicking off the start of Summer and the 4th of July! 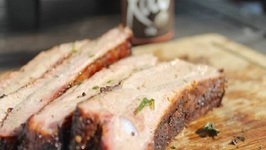 These smoked BBQ ribs are a great way to try your hand at the BBQ pit. 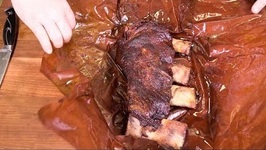 A delicious and easy recipe for making Maple Bourbon Beef Back Ribs on a smoker, or on your grill as I show in this video. A simple, yet wonderful recipe to meet your cravings of aged dried beef. 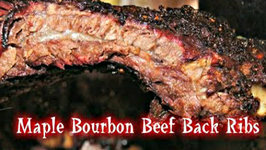 his weekend I fired up the Pit Barrel to cook some center cut beef ribs and coated it with an Apple City BBQ Sauce. 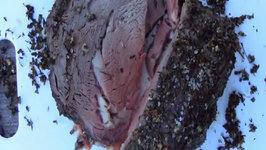 A highly requested video - Salted Encrusted Prime Rib cooked in a Dutch oven. So easy and so delicious that you just can't pass up trying this recipe. Perfect for the holidays! 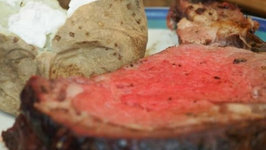 Prime Rib cooked on the Pit Barrel Cooker! Easy!! !